Dr. Tracy Misiewicz is the Associate Director of Science Programs for The Organic Center. She works closely with researchers, industry, farmers, and policy makers to identify organic research needs, facilitate project implementation and communicate scientific results across the organic sector. She leads the Center’s reports compiling current science on critical issues affecting organic food and farming and also heads The Center’s grant writing program, and has written many successful scientific and educational grants to support research and outreach on issues of importance to organic stakeholders. 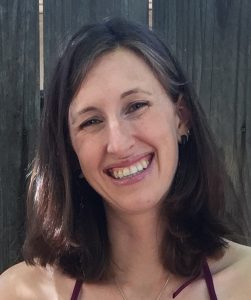 Misiewicz received her Master’s in Plant Biology and Conservation at Northwestern University and her Ph.D. in Integrative Biology from the University of California, Berkeley. Established in 2002 and based in Washington DC, The Organic Center is a nonprofit organization that is a trusted source of information for scientific research about organic food and farming. We cover up-to-date studies on sustainable agriculture and health and collaborate with academic and governmental institutions to fill knowledge gaps.